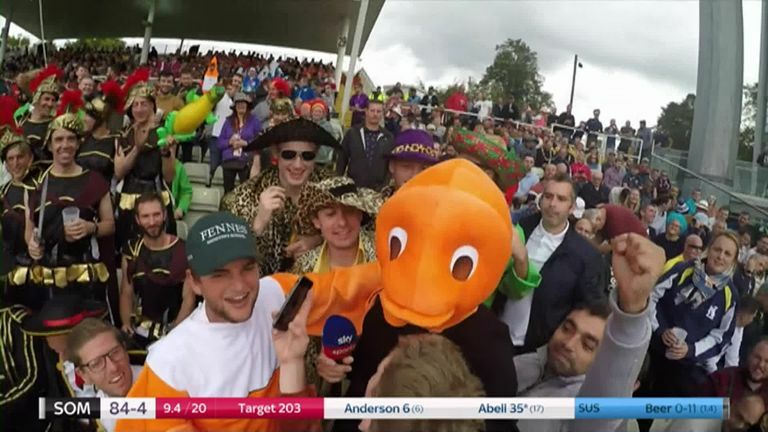 Best of Vitality Blast Finals Day: Worcestershire win, Pat Brown stars and Rob Key dons a fish head! The England man was hailed as an "outstanding individual" by Sky Sports' Nasser Hussain but the all-rounder was supported by some trusty lieutenants, including wicketkeeper Ben Cox. Cox - dropped for the side's County Championship fixture with Surrey last week - was named player of the match twice in a day, with an unbeaten 55 against Lancashire followed by a title-winning 46 not out against Sussex. 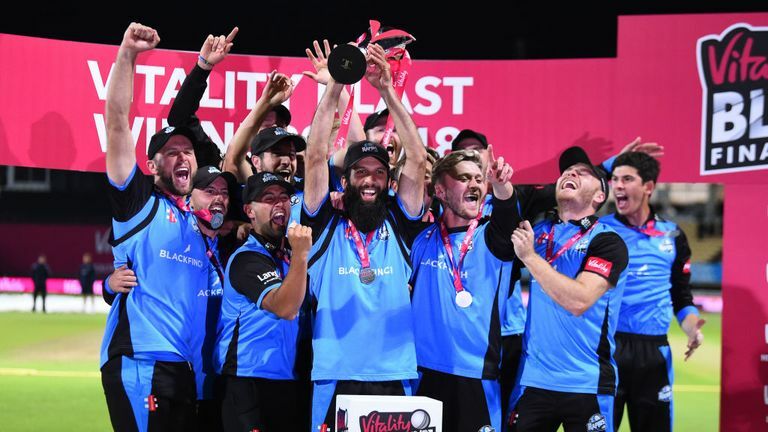 Four-day cricket has been a tough gig for Worcestershire - Championship survival now looks a tall order - but they have flourished in the white-ball stuff, also making the semi-finals of the Royal London One-Day Cup. Kent made the One-Day Cup final at Worcestershire's expense with Harry Podmore striking the winning runs in Pat Brown's final over. 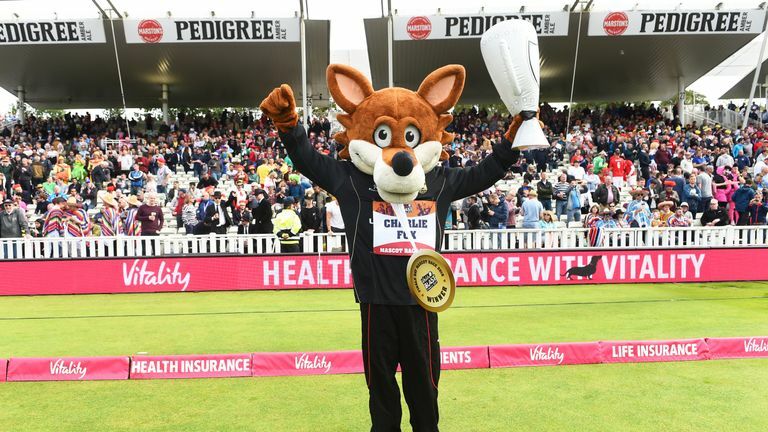 However, Cox, speaking after Worcestershire's Blast win, said that setback was "probably one of the best things that will ever happen" to Brown and remarked how he has "come back so strong". Not half! The 20-year-old was scintillating during the Blast, taking a tournament-high 31 wickets - only two behind ex-Somerset seamer Alfonso Thomas' record 33 in an English T20 season - and flourished on the big stage at Edgbaston. Hussain has now urged him to test his mettle in T20 cricket across the globe: "I would say to him you are hot now. Not to cash in but make your money around the world and play franchise cricket." 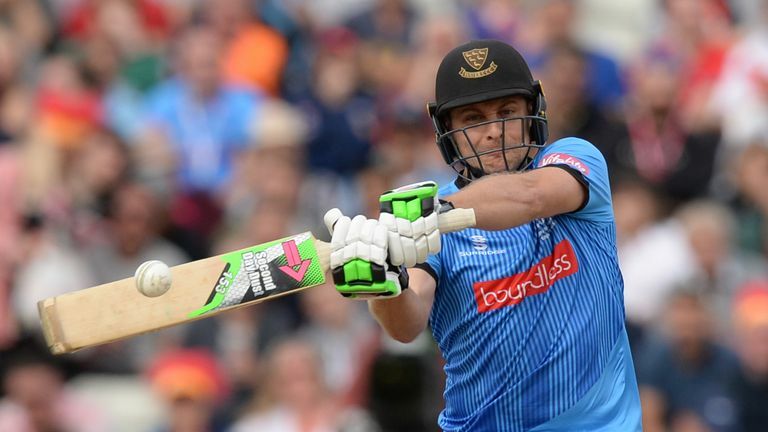 Saturday night did not end the way Luke Wright wanted as Sussex failed to win the Blast for the second time - but the Sharks skipper does now hold the record individual score at Finals Day. Wright's rumbustious 92 from 53 balls in the semi-final win over Somerset, in which he blazed seven sixes and five fours, saw him top the 88 Keaton Jennings struck for Durham against Northants in 2016. The final marked Wright's 300th Twenty20 game and if his Finals Day form is anything to go by, he has a fair few more matches left in him. 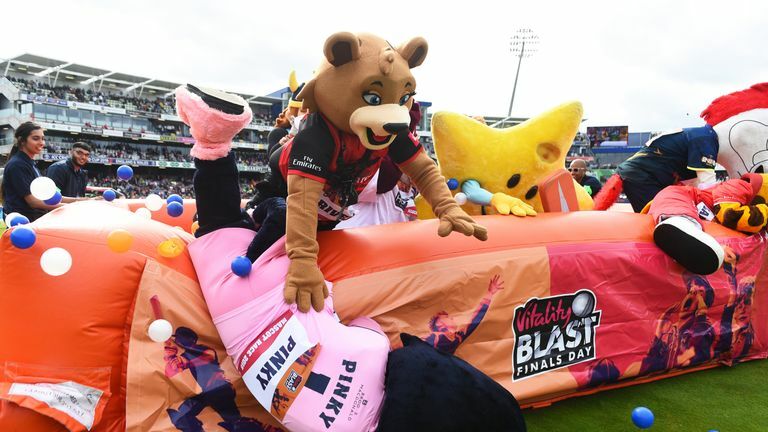 During England's series against India, he scaled a climbing wall at The Ageas Bowl and also went boating and trainspotting with Bumble - but on Finals Day he took an excursion into the crowd. Another highlight was the reaction from Nasser as Key removed a fish head that had been placed over his bonce. "Put it back on, Key!" bellowed Nas from the sanctuary of the Pod! The smart money was on two-time reigning champion Alfred the Gorilla, of Gloucestershire, but the primate's winning run came to an end. Charlie pinched it on the line by a nose from Durham's River the Lion, who was later disqualified for failing to properly orbit a big white cricket ball. Who would have thought the Mascot Derby would be fraught with controversy? !